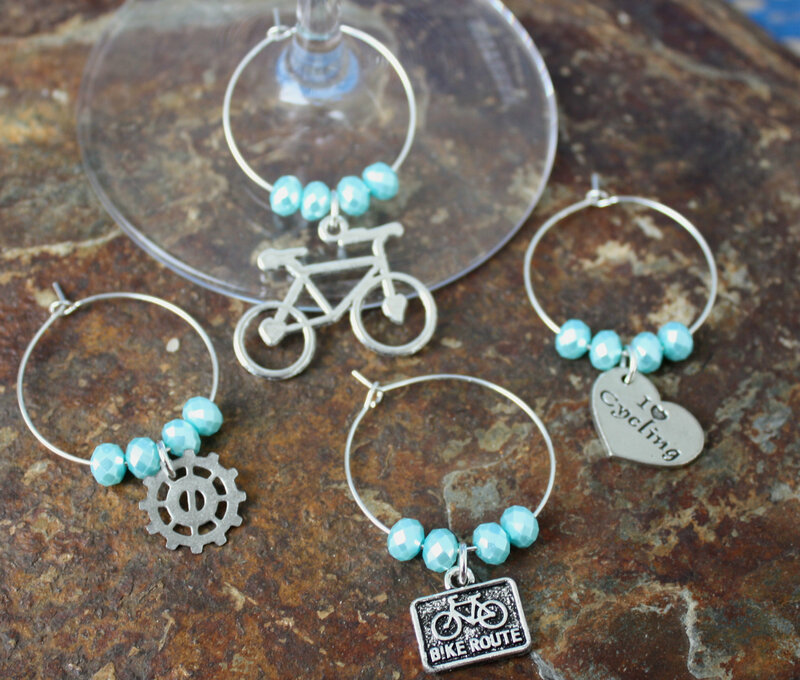 Show your love for biking/cycling with these unique wine charms. The charms include a bike, biking route, I “heart” cycling and a gear. 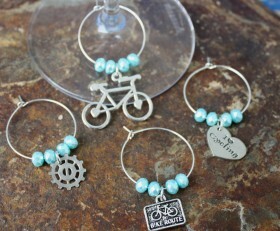 Categories: Biking, New, Wine Charms.